You are viewing the documentation for the 2.0.1 release in the 2.0.x series of releases. The latest stable release series is 2.7.x. 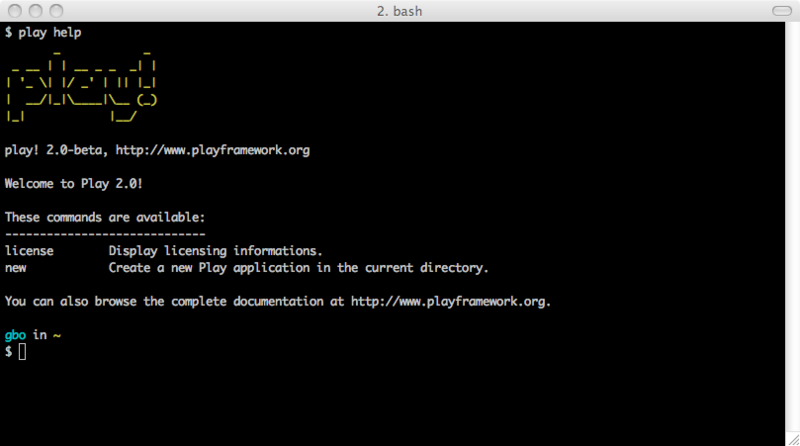 To run the Play framework, you need JDK 6 or later. If you are using MacOS, Java is built-in. If you are using Linux, make sure to use either the Sun JDK or OpenJDK (and not gcj, which is the default Java command on many Linux distros). If you are using Windows, just download and install the latest JDK package. Be sure to have the java and javac commands in the current path (you can check this by typing java -version and javac -version at the shell prompt). On Windows you’ll need to set it in the global environment variables. This means update the PATH in the environment variables and don’t use a path with spaces. If you’re on UNIX, make sure that the play script is executable (otherwise do a chmod a+x play). From a shell, launch the play help command.